Abdul Noor, 16, was jubilant at being accepted by Leda High School in Teknaf of Southeast Bangladesh’s now world-famous Cox’s Bazar, home to hundreds of thousands of Rohingya refugees living in makeshift camps. “None of my brothers got past primary school,” said Noor, the youngest of five sons of a Rohingya couple who fled persecution by the military and radical Buddhists in Maungdaw town of Myanmar’s Rakhine State in 1992. “But I made it to secondary school, so now I can dream of a better life than my parents and siblings,” added the teenager, who was born and grew up in a refugee camp in the district, which is experiencing a growing backlash against the Rohingya as their numbers swell. “During class about a month ago, our headmaster summoned six Rohingya students, including me, to his office and informed us that we should not come to school anymore,” Noor recalled. “At the end of February, we received a letter stating that Rohingya children should go to ‘their own schools’ in the camps, not Bangladeshi schools,” he told ucanews.com. “We identified 60 Rohingya students in various classes and asked them not to come to school anymore, but they were not officially expelled as we didn’t issue a transfer certificate [TC],” added Uddin, who is also a Muslim. 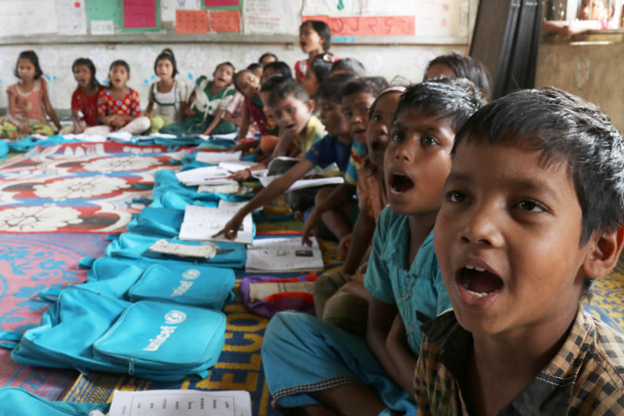 “However, we know some local government officials have been helping Rohingya parents get fake Bangladeshi documents so they can still enroll their kids in local schools,” Bhowmick said. Noor’s parents settled in Leda camp as undocumented refugees after failing to enlist as official refugees in two other camps in Kutupalong and Nayapara of Cox’s Bazar, both of which are co-administered by the U.N. Refugee Agency (UNHCR) and the local government. The British colonized the country in 1824, and what was formerly known as Arakan is now Rakhine State — a long sliver of land that occupies most of the coastline on Myanmar’s western edge on the Bay of Bengal. The group officially became stateless in 1982, when Myanmar’s military amended the citizenship law and excluded them from a list of about 135 ethnic groups in the country. Prior to the massive influx of refugees to Cox’s Bazar in 2017, both the official stance from Dhaka and public opinion were against the Rohingya. They were billed as a security threat and a financial and resource-gobbling burden for this overpopulated and impoverished South Asian country. A Rohingya girl heads to a religious school to study the Quran at Leda refugee camp in Cox’s Bazar, Bangladesh in this Dec. 6, 2012 file photo. Dhaka recently issued an order to expel Rohingya students from schools, triggering criticism form rights activists. (Photo by Stephan Uttom/ucanews.com). “The Bangladeshi government’s policy of tracking down and expelling Rohingya refugee students instead of ensuring their right to education is misguided, tragic, and unlawful,” said Bill Van Esveld, a senior researcher of children’s rights. 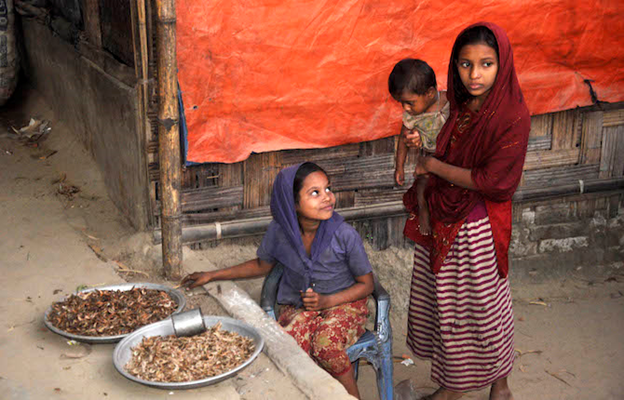 Bangladesh is a party to the Convention on the Rights of the Child (CRC) and the International Covenant on Economic, Social and Cultural Rights (CESCR), which guarantee children’s rights to free primary education, available and accessible secondary education, and higher education on the basis of capacity, regardless of their immigration or refugee status, HRW noted. “On humanitarian grounds, it is saddening and inhumane to deprive Rohingya children of an education. Bangladesh is a signatory to the U.N. Sustainable Development Goals, so this move goes against state policy,” Gomes told ucanews.com.